You are here: Home / Weekly Columns / Opinion / Samsung Galaxy S9 Tips and Tricks: 7 Things You Should Try. Samsung Galaxy S9 Tips and Tricks: 7 Things You Should Try. 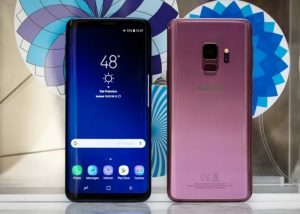 (ThyBlackMan.com) If you own a Samsung Galaxy S9 or S9 Plus, you may be wondering what tips and tricks could be there you are unaware of. Well, Samsung has put a lot of efforts in bringing its most powerful smartphones. Here are some Samsung Galaxy S9 tips and tricks you can try to enjoy the full potential of your smartphone. Let’s say you’re watching a video on YouTube and you just want to visit the Home screen. In many phones, when you come out of some apps, your home screen goes back to its vertical display. With Samsung Galaxy S9, you can make changes to these settings. Just look for the Home screen > Portrait Mode option and choose Toggle Off. It will not only keep the homepage in horizontal mode, but icons on the page will also be visible in landscape mode only. Screen protectors sometimes spoil the joy of smooth touch functionality. If you’re a Samsung Galaxy S9 user and your phone sports a thick screen protector, you’ll probably need the touch sensitivity feature. When you enable this feature, it increases touch sensitivity of your device’s screen so that you can be kind and gentle with your phone’s touchscreen even if you’re using a screen protector. Touch Sensitivity feature can be found in the ‘Advanced Features’ under settings. Those who haven’t upgraded their phone or want to join the Samsung Galaxy club, Download Booster on the Galaxy S9 will let you combine your cellular data with Wi-Fi internet and you can enjoy faster downloading speed on your smartphone. This feature was introduced on the Galaxy Alpha smartphone and it is available on the S9 as well. So whenever you are in need of downloading large files (30MB plus), use this feature and increase the downloading speed. The navigation bar on your Samsung Galaxy S9 is highly customizable. You can either keep it hidden or you can make certain changes to customize it. You can change the navigation bar order, you can also make changes to its background colors using settings and you can unhide it by just tapping (little long) on the tiny button available on the left side of the navigation bar. Switching the navigation bar position is also possible on both the Galaxy S9 and S9 Plus. Bixby is now improved and the virtual assistant has gained so many powerful features. So if you haven’t turned it off, use it to recognize objects or translate foreign language text. Once you get Bixby running on your Samsung Galaxy S9, here’s what you can do with it. You can ask Bixby to launch apps, add events to your calendar, set an alarm, and show notifications With voice commands, you can control and use third-party apps as well. The virtual assistant still needs improvements, but this is the right time to start using Bixby if you ditched it last year. Unlike the other Android phones, the Samsung Galaxy S9 doesn’t automatically open the multitasking window with a long press on the recent key. You need to manually enable this feature under advanced settings. You can drag and resize the windows according to your specific needs. You can also drag apps from the top to the center or bottom of the screen. By default, the Samsung phone shows you three most recent notification icons at the top left corner of the screen in the status bar. If you want to disable this and want to see all the notification icons on the status bar, just go to the Display settings option and disable the “most recent notifications only” under the Status bar option. So those were the 7 most useful Samsung Galaxy S9 tips and tricks you can use. 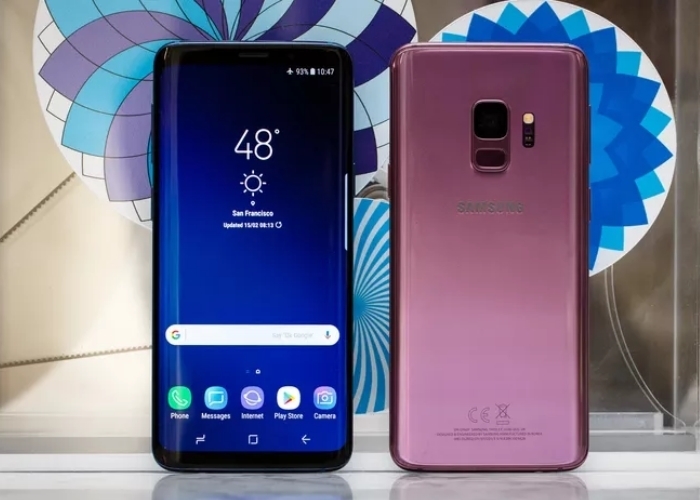 Of course, there are many other tips and tricks you can discover and try on your Samsung Galaxy S9 and S9 Plus. If you have found some more Galaxy S9 tips and tricks, share with us in the comment section below. Thanks for the tips. Still with that, I’m patiently waiting for the Note 9.